DMSP, LRD, LRIT, HRIT and GVAR. 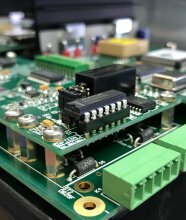 Affordable, high-performance system for receiving and processing X-Band EOS data from Terra/Aqua (MODIS), Suomi-NPP, JPSS-1 and FengYun-3A/B/C polar-orbiting satellites. 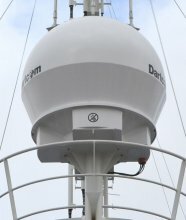 Land-based and marine antenna options. Systems for receiving, processing and displaying HRPT, AHRPT, DMSP and LRD data from NOAA, Metop, FengYun-3, DMSP and JPSS polar-orbiting satellites. Land-based and marine options. Systems for receiving, processing and displaying LRIT and HRIT data from the EUMETCast and HimawariCast services and GOES, COMS-1 and Electro geostationary satellites.